Windows Live Hotmail has seen its share of complaints over the years however over the last couple years, Microsoft has really been stepping up their game in an attempt to win back consumers from GMAIL. In the past week, the Hotmail development team announced a few new updates in this quest which I think just might begin to change the game between Hotmail and GMAIL. new mouse and keyboard shortcuts which previously have not been available in consumer based Web Email clients (GMAIL included). 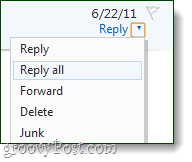 For example, users can you Right-Click an email to get options like Reply, Reply all, forward etc… Awesome! 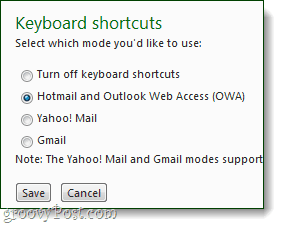 Additionally, you can now change Hotmail over to use the exact shortcut hotkeys that you might be already acquainted with in Gmail or Yahoo Mail; certainly something handy if you’re one of the claimed “millions” that has switched to Hotmail. To go along with the new keyboard shortcuts, there are a couple new mouse shortcuts too. At the top-right of email messages you’ll now find a drop-down menu that allows you to Reply, Reply all, or Forward the message. There were also some new features added in terms of personalization. 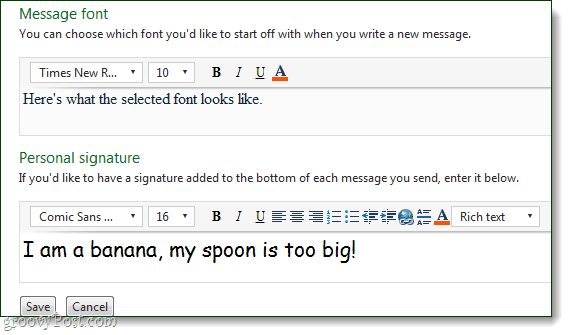 You can now set a default font for all emails that you compose. And, you can add a default personalized signature to all of your emails. This feature may have been around in some form, but it has been greatly enhance and now supports rich text. Another notable new feature is the recovery of emails that were deleted. You won’t have to worry about accidently clicking the delete button ever again since those emails can now be brought back. Lastly, they’ve fixed how the Back button works in your internet browser. Before it would leave you stuck in an endless recycle of the same page, but now it actually goes backwards to a previous page. Personally I found the old back button functionality to be one of the most annoying things about Hotmail, so I’m relieved to announce they’ve fixed it. It’s nice to see that many of the features which have been available in the Corporate Webmail Client Outlook Web App for Exchange Server or OWA are finding their way into the consumer Hotmail service. Perhaps Microsoft is realizing they should be sharing code between the different divisions? 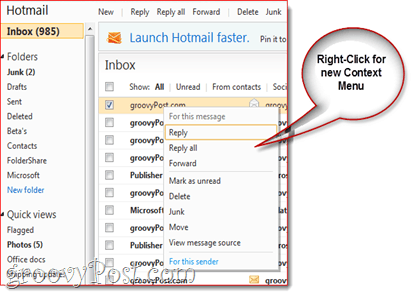 What do you think of Hotmail’s new features? Are they enough to pull you away from GMAIL or Yahoo! ?